Come Cybersport with our SCYPE networking group. Haven't heard or played Cybersport? Then this is one SCYPE networking event you won't want to miss. Cyber Sport is a combination of lacrosse, basketball and hockey played with two teams driving custom cars on a 40 feet x 60 feet court. Up to 10 players can play at a time (5 on 5). 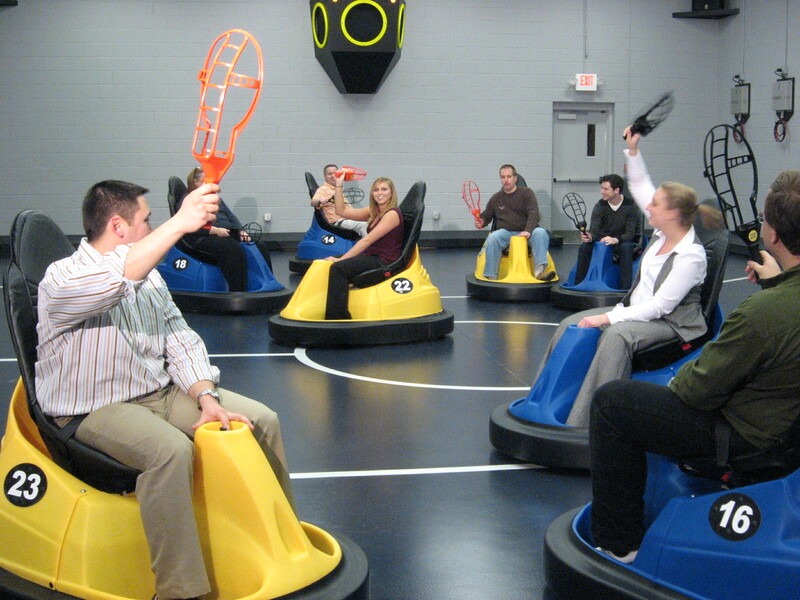 Each player is equipped with a one‐handed scoop which is used to pick-up, pass, and shoot the ball during a Cyber Sport session. Each session of Cyber Sport consists of three, eight‐minute games. Before each game begins, each team must start on their half of the court. Goals are mounted at each end of the court and each goal has three or more openings. Points are awarded to the team who can get the ball through one of the openings of their opponent’s goal. Once a goal is scored, the team ‐ that did not score ‐ immediately takes possession of the ball. The team who wins two or more games of the session is the winner.